I couldn’t wait to catch up with my fellow food lovers in Hong Kong. Without them, I wouldn’t have gained so much knowledge and love for food and not to mention those extra kgs and cholesterol level! We caught up for lunch and I left it to the trusted Bon Vivant to pick a place. 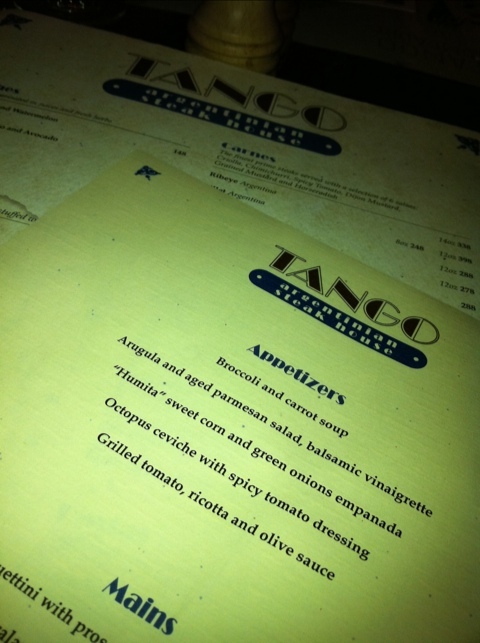 We went to Tango, an Argentinian steak house opened by the same group as Bistecca in LKF, Hong Kong. 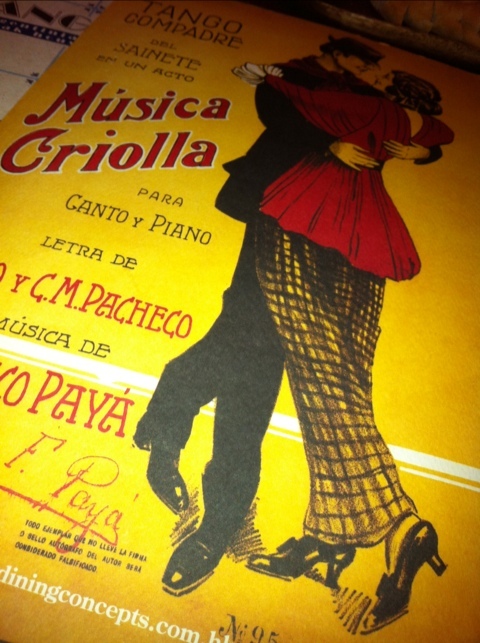 The layout and the ambience resembles that of Bistecca. We all opted for the set lunch, two courses for HKD 98 and an extra HKD30 for dessert. The options were surprisingly good if you are a meat lover! Not so great for the vegetarians unfortunately. 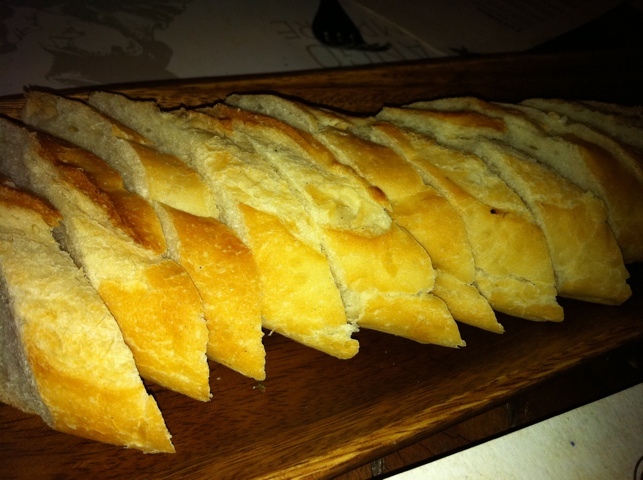 We started with bread, it was warm and nice but nothing special. We were all hungry so dug right into it. Sg and I both ordered the same thing and started with broccoli and carrot soup. 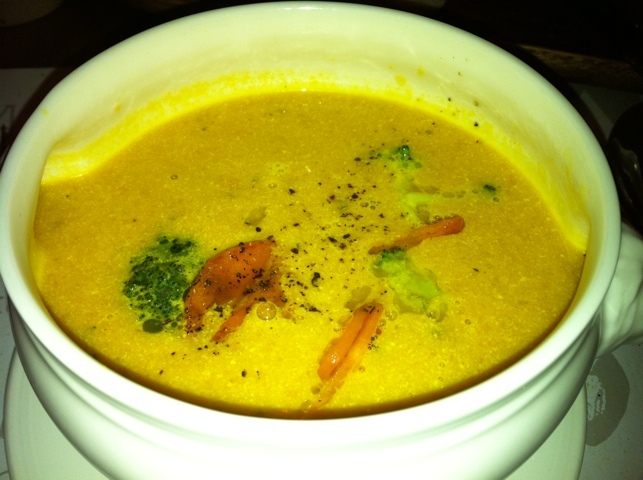 It was a relatively good serving and the soup was absolutely wonderful! Thick, creamy and full of flavours! 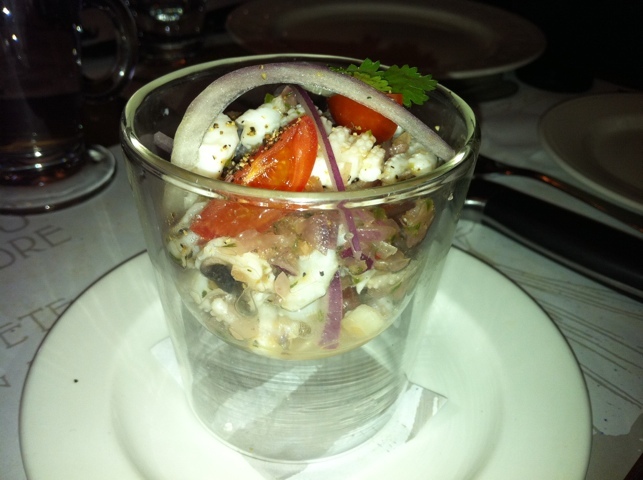 SK ordered the octopus ceviche with tomato salsa dressing. SK thought it was a ‘small serving’ and nice. 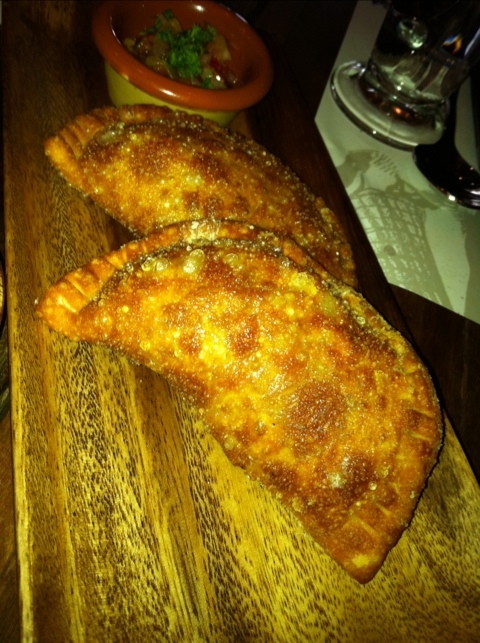 Both mochachocolata and Bon Vivant had the ‘Humita’ – sweet corn and green onions empanadas. An empanada each! The waitress did not tell us that it was one each as she placed the wooden platter on the table. We all sat there for a good minute or two waiting for the second wooden platter. Both said it was good and had interesting flavours! Probably should have tried some but was quite content with my soup. 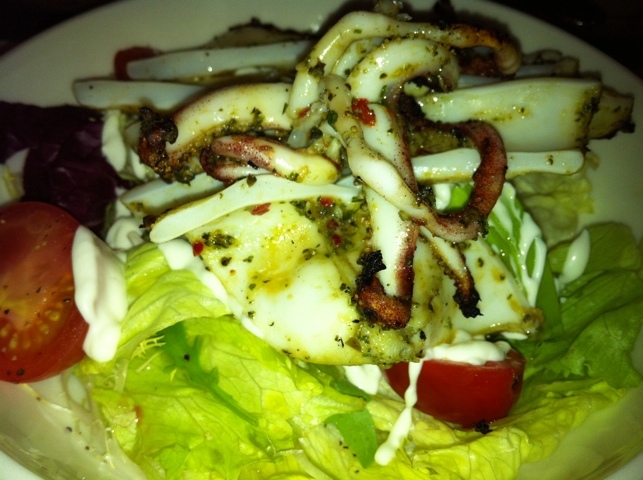 For mains, Sg and I had the charred octopus served on a bed of salad with tomato and avocado. It was beautifully done, the octopus were warm and tender, the avocado was slightly hard but worked really well with the octopus and salad. It was a light and refreshing dish which I needed. The sauce was a little creamy but wonderful. SK and SC had the sirloin with ham, mozzarella and tomato. It was the thinnest sirloin I have ever seen. It was paper thin and a little on the cremated side. SK did say that it was a little hard but enjoyed the cheesy goodness. It was a rather small serving I thought. Poor SK, two small servings in a row! Mochachocolata and Bon Vivant had the pork sausage with roasted potatoes and garlic dressing. 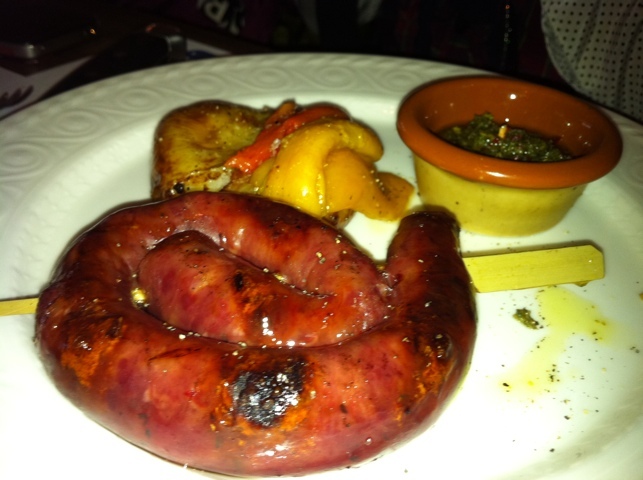 The sausage was on the pink side, extremely tender and scrumptious. I was surprised that I didn’t order this but I am trying to break that habit of ordering pork all the time! I was stuffed! However was happy to pick at someone’s dessert. Majority of us ordered the Churros with dark chocolate. 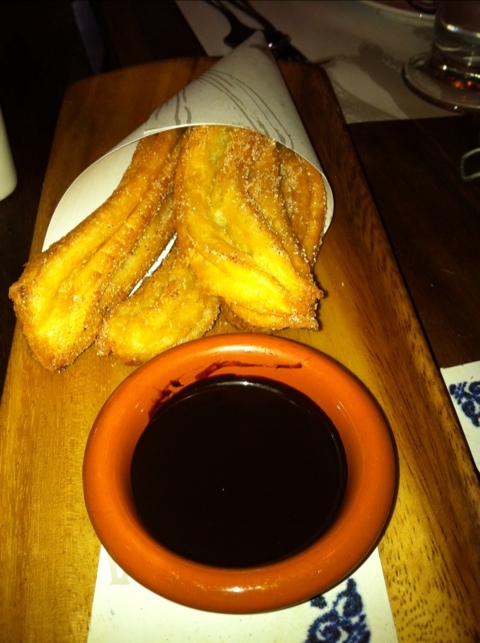 I love Churros and these were superb! Thought the dark chocolate was too over powering – it was better on it’s own! 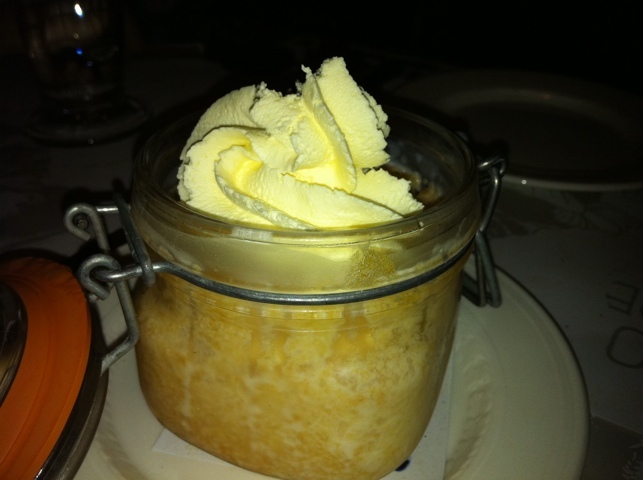 SC opted for the coconut pastel tres leche which was served cold in the cutest jam jar! I wasn’t a huge fan of this, it was just too coconut-y for my liking. I thought my meal was good, not sure what the other diners thought though! 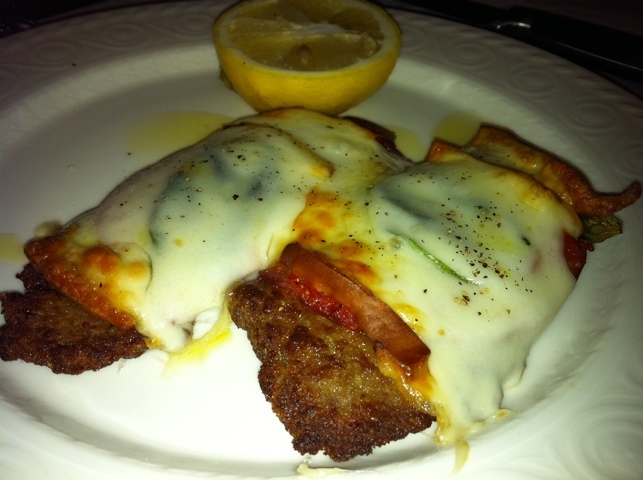 The servings were a tad on the small side – is it me or has the servings in Western restaurants gone smaller? It was absolutely wonderful catching up with you all! I have missed you and can’t wait to dine with you again in a few months! Overall I thought service was ok, food good and total bill came to HKD150 pp which wasn’t too bad! Beef is really their specialty and I probably should have tried it. The non set menu looked good though, but will it be as good as Porteno in Sydney?